We sadly convey to you that our friend +Fr. F.X. 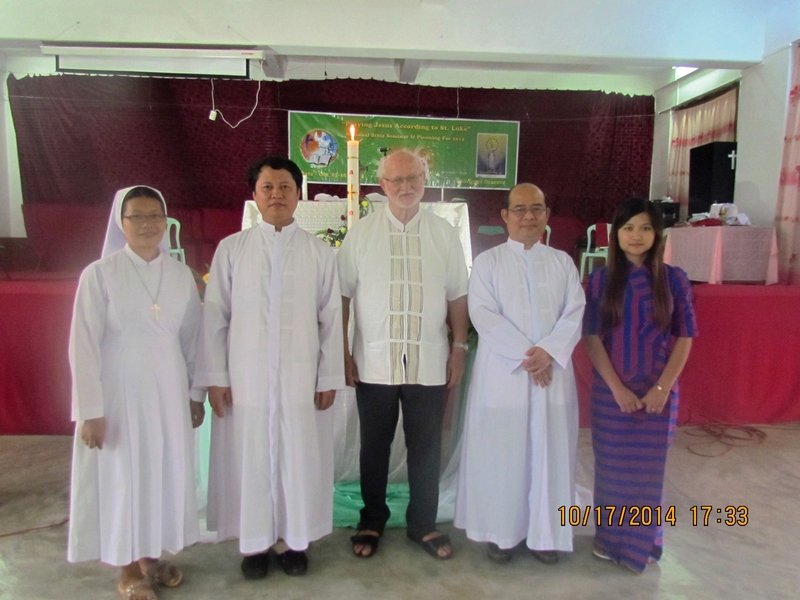 Vu Phan Long, OFM (66); born on August 21, 1951 in Ninh Binh Province, Vietnam has gone back to the Almighty at 22:30 Friday, October 13 of this year 2017 at Hochiminh City after 45 years of his religious profession and 40 years of priesthood. He had been sick with lung cancer since 2015 or even earlier. But he survived till after the SEA Workshop that he coordinated and prepared in Nha Trang. And he was even present in the first 3 days in spite of his weakening body. We truly appreciate him. We recalled our togetherness in CBF Plenary assemblies, Asian Workshops and our SEA workshops through the years! +Fr. F.X. Vu Phan Long, OFM was official representative of the Catholic Bishops Conference of Vietnam until he died. I am very sorrowful to inform you that our dear friend, Fr. Francis Xavier Phan Long, OFM has passed away last night. 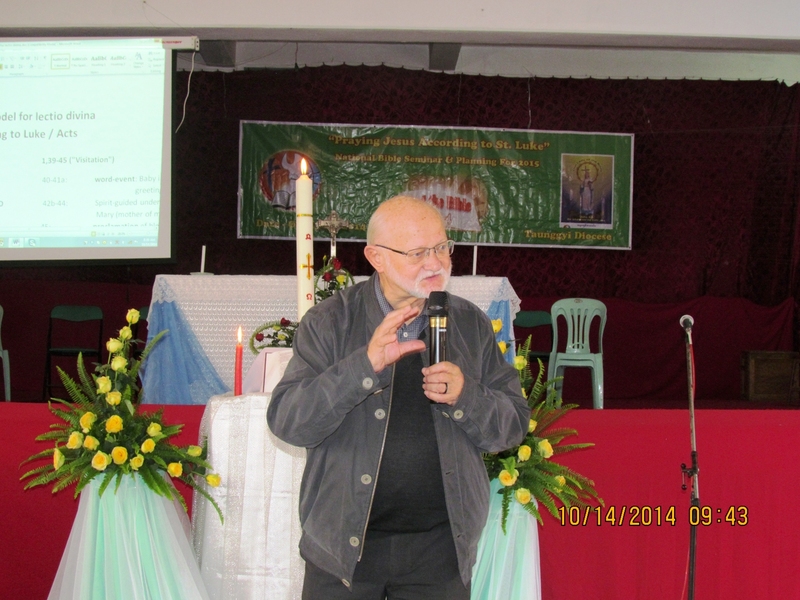 The Funeral Mass will be celebrated on next Monday morning, at 8:00 in the Franciscan Theologate, Hochiminh City. Let’s pray for Fr. Phan Long. May our Loving Father welcome him into the Kingdom of Heaven and give him eternal rest in peace. I was really saddened about your news on the demise of our dear friend Fr. Francis Xavier Phan Long, OFM. I see again the picture we had with him in Nha Trang. We were all happy seeing each other again with him. It was the last picture then with him. Our last memory of his presence with us. Yes, I pray that the Lord will open the gates of heaven for him that he will finally experience eternal joy and happiness with the Lord. Amen. 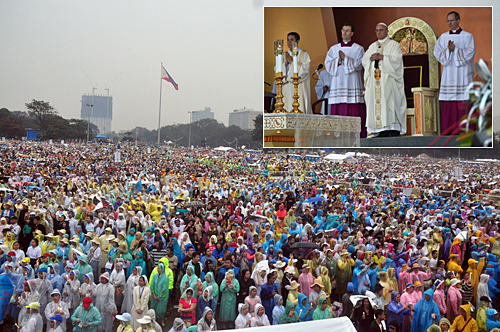 We, the disciples of the Lord Jesus Christ, gathered to celebrate the 51st International Eucharistic Congress in Cebu City, Philippines (January 24-31, 2016) now relive the beautiful experience of the two disciples of Emmaus. We are convinced that the Holy Spirit sends us forth in order to proclaim the story of Jesus. This congress is like the gathering of the early disciples when they joyfully shared stories of how each of them encountered the Risen Lord in the Sacred Scripture and in the Breaking of the Bread. Bread of Hope. The Eucharist, being a living and life-giving encounter with Christ in the totality of his Paschal Mystery, is truly the source of and impetus for hope. Through the Eucharist, we come to feel that we are possessed by the love of God and with this conviction, conversion of the heart begins. When our worship is done through Christ, with him and in him, then the Eucharist becomes source of healing and our hope of glory. The Eucharist is our bread of hope for it challenges us to live thankfully and joyfully, notwithstanding all the difficult realities of life.Only those who have endured a lot or have faced various crises in life, those who suffer almost on a daily basis, can know and possess spiritual resilience and truly celebrate life’s joys and remain hopeful. Bread for the Poor. The Eucharist commits us to the poor, to love and to come to their help. We are challenged to reach out to the poor and help uplift them materially and spiritually as a concrete way of living out the Eucharist. The Eucharist compels us to act and to give them something to eat. The example of Jesus, particularly the meal stories, teaches us what every Eucharist should be: breaking bread with the poor and the marginalized. The presence of our brothers and sisters who have less in life is a constant reminder that the poor is the privileged place of encounter with Jesus outside the Eucharist. Bread of Dialogue. The Eucharist which is the sacrament of the bread of life fills our spirits and strengthens our resolve as we take the tortuous path of dialogue with religions, cultures, youth and the poor. We are empowered by the Holy Spirit for mutual understanding, openness and conversion of hearts and minds. The Eucharist – the real presence of Jesus – sustains our hearts and nourishes our souls as we journey towards the convocation where God gathers us all in an inclusive communion, banishing distinctions that alienate and celebrating the gift each one brings. Bread for Mission. Energized and renewed by the Eucharist, Christ’s missionary disciples are sent into the world to be broken bread for a broken world. They move from Eucharistic celebration to Eucharistic commitment. The Eucharist is not just a gift but also a task and mission that can change the world. Indeed, Eucharist enables us to effectively respond to the cry of the poor, the cry of the earth and the cry of Jesus Christ. Missionary dynamism springs from an encounter with Jesus through deep prayer because the lungs of evangelization is prayer. 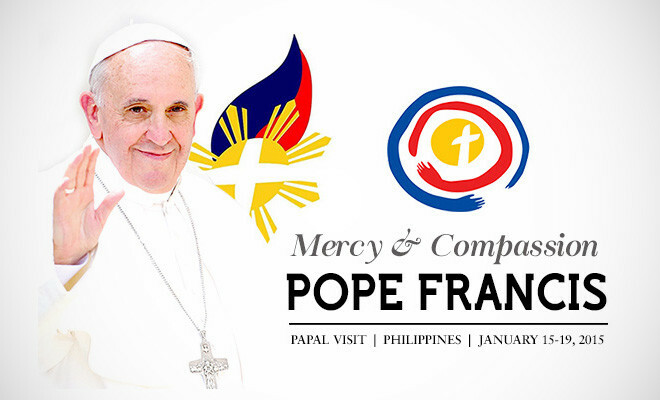 We are a people on mission; truly, IEC 2016 is a clarion call to mission for all of us. Our Eucharist is the source and goal of the Church’s mission. May the Blessed Virgin Mary, the Mother of the Incarnate Word and the Eucharistic Lord, accompany us, missionary disciples, in order to share Jesus Christ is us our hope of glory. Ako ay masaya na makarating dito sa Cebu! 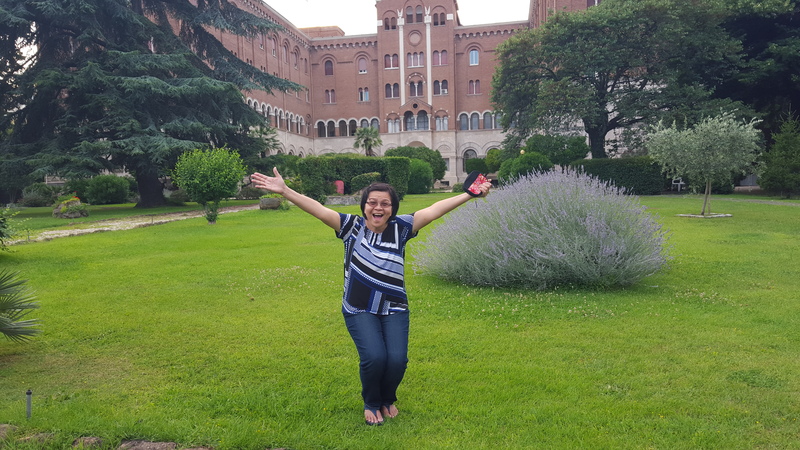 I stand on this holy ground, full of gratitude and joy, bringing the message of hope and joy from the prophet of the millennium, our dear Holy Father Francis. Pope Francis loves you very much! Ang atong San Padre gihigugma kamong tanan! Kayong lahat ay mahal na mahal ng Santo Padre! We are grateful today. Gratitude to God that an event of immense significance as this International Eucharistic Congress has brought together the Catholic Church to the cradle of Catholic Faith in Philippines, Cebu. I am grateful to Our Holy Father for his trust and the honor he bestowed your humble servant to be the legate. I am grateful to the warm welcome, the deep communion we feel as Catholics all over the world. I am humbled and grateful to this opportunity to be with you. 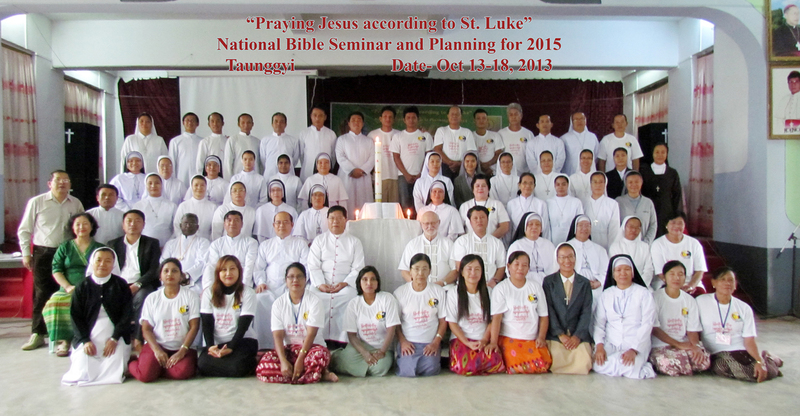 You are a great nation, the light to Asia, the biggest Catholic Community in Asia. This pivotal Catholic Nation that has promoted the growth of Catholicism in Asia. Your light has shown in every part of the world through your sons and daughters whose exemplary faith has been for ages, the beacon of evangelization. 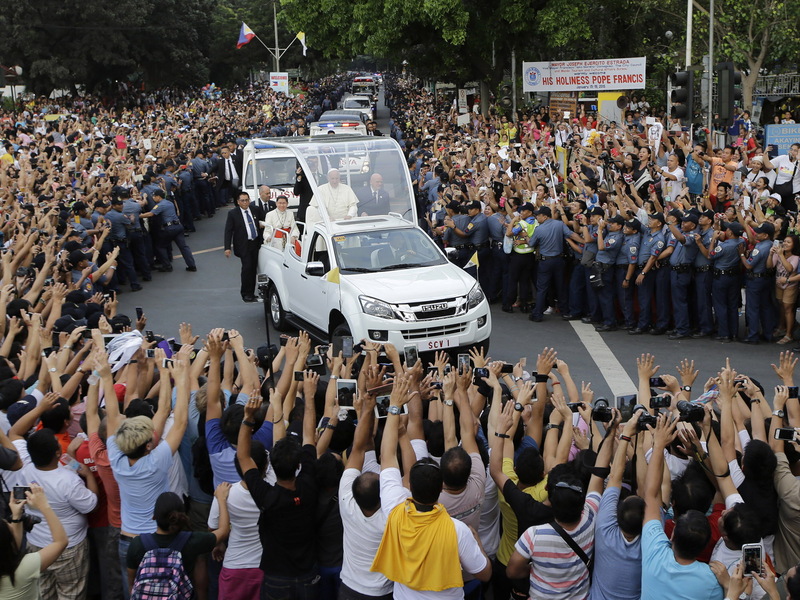 In some parts of the world, Catholicism means Filipino presence. Every migrant working from Philippines is a Paul of Tarsus in more than 120 countries they serve. Sa Hong Kong, London, sa Cairo, sa Roma, sa Dubai ng Pilipino ay nasa lupa. Ang Pilipino ay na sa hangin. Ang Pilipino ay na sa tubig. Nasa lahat ng dako ang dugong Pilipino! For the last five decades, the only place that welcomed our priests, religious and laity with open arms and cared for them is you and the Church in the Philippines. Today, Myanmar church is a confident church, your communion was a poignant show of Eucharistic fellowship with a suffering church. You have shared the bread of hospitality, the bread of knowledge, the bread of your love for the people who came here. We are gathered on a global stage, a global table, for a Cosmic Eucharist, Eucharist as a Mission in Cebu! You are the door of Christianity to this great nation. After a week-long celebration of Senor Santo Niño de Cebu, you have gathered here, commemorating 500 jubilee of the arrival of faith with the people and after 79 years of a Eucharistic congress in this great land of faith, you have come forward to celebrate this global fellowship. The theme: The Christ in you is the Hope of Glory – taken from Colossians is a theme that echoes through your mountains, through your beautiful rivers, soothes the heart of millions of Filipinos. This is a historic moment. God gave you a nation of unparalleled beauty, but sadly challenged with the frequent natural disasters. your beloved Bishop Claver, SJ once said that the Philippines has the unenviable title of being the disaster capital of the world, but time and again, you have proved your resilience, your faith, rising from all challenges. May this 51st IEC be the moment of healing the earth, the wounded planet, and healing the graceful people of this country and everyone gathered here. “You shall love God and your neighbor as yourself. What shall it profit a man if he gains the whole world, but loses his soul? God loves this world and he gave his only son, not to condemn, but to redeem. TAKE AND EAT, THIS IS MY BODY! TAKE AND DRINK, THIS IS MY BLOOD! O Sacred Banquet in which Christ is received; the memory of his Passion renewed. Eucharist is the spiritual jewel. Any jewel needs to be seen in various angles and lights. We are fortunate to gather these days through seminars and gatherings to see its various splendor. The Eucharist encompasses various facets of Christian life. This mystery of the Eucharist has two eyes: the Presence and the Mission. PRESENCE – the quest of Human dignity – Man in God’s Image. Eucharist is a historic faith event. Eucharist is the presence of Jesus. It is the same Lord of Moses, Abraham and Isaac. It is the same Lord who through the Paschal meal liberated the Israelites from slavery, through his son, the Paschal lamb extends to the WHOLE humanity. The gift of redemption and salvation. The celebration of Eucharist and its adoration continue to affirm that the work of liberation and redemption is not yet over. We adore Jesus in the sacrament of the most Holy. In our personal moments with him, in our solemn benedictions and in our adoration chapels, the Presence of Christ continues to be adored. The Eucharist and adoration is the intense faith encounter with Jesus, But this encounter needs others, the community. It was Mother Teresa who contemplated this mystery of Presence. She says every Holy Communion fills us with Jesus and we must go in haste to give him to others.” Mother Mary, whose body became the first altar of the Eucharist, Jesus, when she was conceived with him, the Bible says, she rushed in haste to meet Elizabeth. Adoring Jesus in the Eucharist is also accepting our fellow men and women as created in the image of God. In a world that kills children in the womb, I a world that spends more on arms than on food, in a world that continues to have millions of poor, Eucharist is a major challenge to the whole humanity. Can we feel the presence of God in our brothers and sisters? Pope John Paul talked about the culture of death. 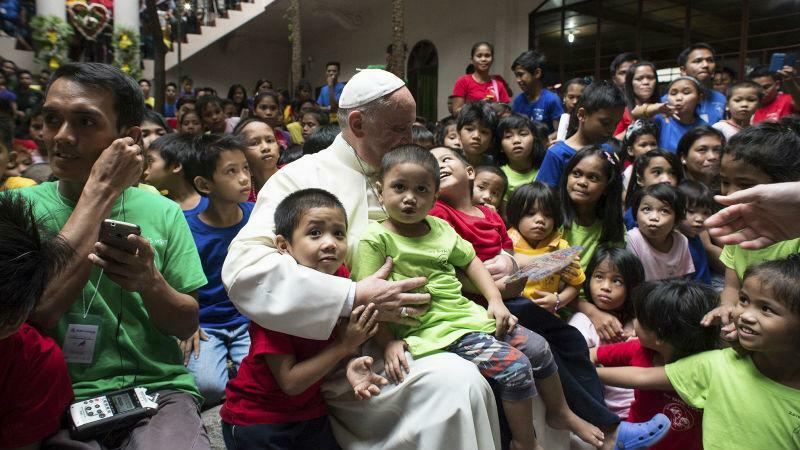 Pope Francis spoke of a culture of indifference. Eucharist then, cries out from the womb to tomb human dignity. Abortion, death penalty, euthanasia, etc. are vital challenge to Eucharist today. Our adoration of Eucharist affirms our unalienable faith in human dignity. Governments and others need to appreciate our faith vision. From Eucharistic Celebration to Eucharistic Commitment – Mission Adoration alone may make us good devotees. But being a devotee in one of the easiest things. Debosyon sa Santo Ninyo, Debosyon kay Hesus Nazareno. It is good. Christ is calling us to be disciples, to carry his cross; the Mass of the devotee ends in an hour. But the Mass of the disciple is unending. The Eucharist of the devotee is confined to the clean, decorated altars of the church. The Eucharist of the disciple continues with the streets as altar. Christ died in the street, dragged on the streets, proclaimed his good news on the streets, and affirmed the human dignity in the streets. His altar was the world, He broke the bread of healing, He broke the bread of feeding, He broke the bread of reconciling, He broke the bread of Good News. His disciples carried the task. The very act of Eucharistic assembly was revolutionary in the Act of the Apostles. The first disciples were martyred for the act of coming together and breaking of the bread. Yes, Eucharist leads us to mission. What is the mission? Vatican II defines the three fold mission of Christian – in the Ws: Word, Worship, and Witness. The first W is knowing the word of God and Proclaiming the Good News, The second is the worshipping as a community, affirming the oneness of the Christian community in the image of the triune God as the first Christians did, the third is the Witnessing through social mission with our concern for the weak and the vulnerable, what Pope Francis calls the “view from the margin”. Once a priest told me uttering the consecration words in the Mass was becoming very difficult. The words “Take and Eat” are very difficult for me, he said. He was living in a place affected by war and displacement and food was hard to come by. He was reminded by his people’s hunger and difficulty in uttering the words by Jesus. Yes we break bread in an unjust world. UNICEF says everyday 20,000 children die of starvation and malnutrition. That is 900,000 every month and 10 million a year. A silent genocide, the biggest terrorism in the world; what is the greatest moral sin that seeing a child dying of starvation today? The Eucharist and the poor are inseparable. It was the church Father John Chrysostom who said “Do you wish to honor the body of Christ? Do not ignore him when he is naked. He who said ‘this is my Body’ is the same who said: You saw me hungry and you gave me food”. Mother Teresa advised her sisters: The love for the Eucharist helps us to love the poor. Be the love, the compassion, the presence to the poor. Eucharist is a dream and a reality because Jesus is truly present. A dream because it is the hope of the future, the eschatological meal of human equality. Today you have gathered from various backgrounds, the rich and poor, the noble and peasant, aristocrat and the servant. But when you approach the altar, the Eucharist strips you off all your social status. You are just an equal among equal. In an unequal and uncaring world, the Eucharist steadfastly remains the beacon of human equality. The Eucharist calls us to justice. No other religion elevates justice to this level. No other religion elevates the poor to this level as Mary narrates after the word was flesh in her “the mighty will be brought down and the lowly will be raised up”. This calls for our commitment to a world of justice. Eucharist calls for a third world war, a third world war against poverty. A third world war against the cruelty of dogs fed with sumptuous organic food while poor children scramble for crumbs from the table, a third world war against a world that produces more weapons whilst more than half a billion do not get enough food every day. This I think is the clarion call to mission today for all of us who attended this congress. Another world is possible. An economic system that does not treat human beings as commodities is possible, another world where the world is our common home is possible. Until that happens, the Eucharist will continue to be challenged. Our mission remains incomplete. We are journeying through uneasy times. Hatred based on religion and culture is expanding. Being Christian is such a risk today. “Take the cup; this is my blood” is not just Eucharistic words. It is true in the lives of many Christians today. Not only Christians, the country from where I come from faced war and conflict for the last sixty years. The world is fragmented. Humanity is soaked in tears and blood today. Cain continues his hatred for his brother. Christianity offered a new version of humanity through Eucharist. Before the Passover meal, Christ offered an example of service, washing the feet of his disciples. Instead of killing a scape goat, Christ became the lamb of God. He exhorted, “Pray for those who persecute you”. He forgave from the Cross. The Eucharist remains a sign of hope for humanity. Ang bansang Pilipinas ay nangangailangan ng kapayapaan! Ang mundo ay nangangailangan ng kapayapaan! Let this Congress set in motion a movement for reconciliation. The Eucharist is always preceded by reconciliation. The gospel of Matthew stipulates the condition for a true reconciliation: “If therefore you are presenting your offering at the altar, and there remember that your brother has something against you, leave your offering there before the altar, and go your way; first be reconciled to your brother, and then come and present your offering. (Matthew 5: 23-24). Christians need to pray with St. Francis of Assisi “Make me a channel of Peace, where there is hatred let me sow love”. This unity and reconciliation need to start with our families, our parishes and communities, among religions. Blessed are the peace makers (Mt 5:9). Peace is the bread that the Catholic Community waits to share with all communities. This Congress highlights the presence of God through our veneration to the Eucharist. This Eucharistic Congress, held in this great city and a great country, make us move from Eucharistic celebration to Eucharistic commitment in promoting the Eucharist as a mission, the Eucharist as the bread of justice to the poor, the Eucharist as the bread of peace in conflict areas. 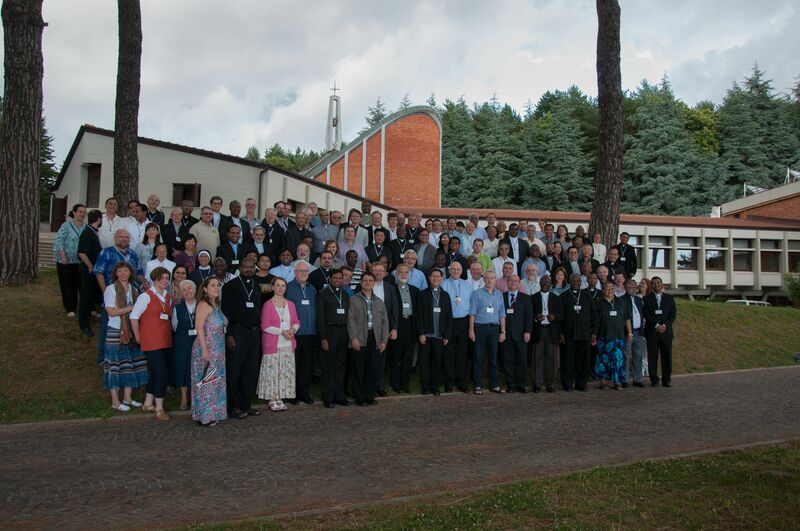 The 9th Plenary Assembly of the Catholic Biblical Federation was held at Ad Gentes Missionari Verbiti at Nemi on June 18-23, 2015 with the theme: HOLY SCRIPTURE, SOURCE OF EVANGELIZATION. Many thanks to our new General Secretary, Fr. Jan Stefanów, SVD, for having arranged and organized everything, that made these five days an enriching and fruitful experience of the Word in its global dimension. A Lectio Divina guide was prepared that focused on the four aspects of relationship on Word and Mission from the perspective of a “Church which goes forth.” We had Lectio Divina in small groups according to language groups and a mixture of Bishops, Priests, Religious and Lay. This was done every morning before breakfast. The Lectio Divina sharing was so enriching, inspiring and challenging as well. 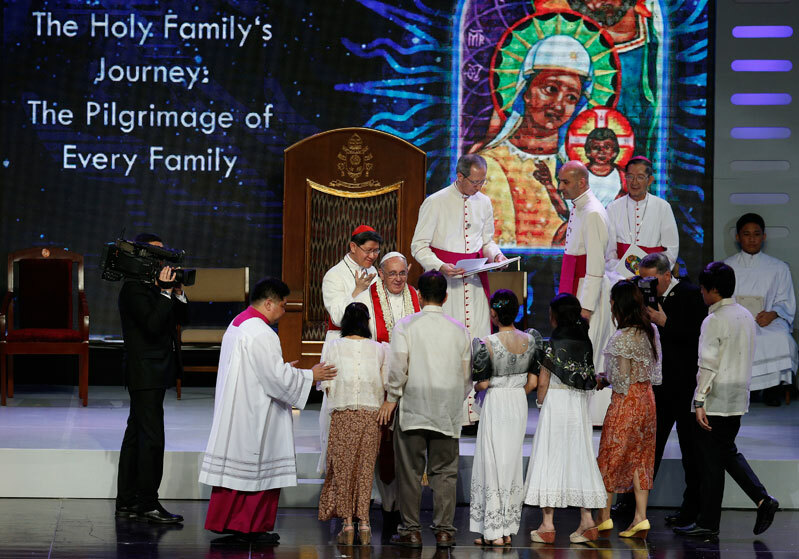 The Eucharistic Celebrations, prepared by regional groups, were celebrated in the evenings except for the Sunday mass that was held in the morning with the Region of Asia preparing the Liturgy. The Sunday mass was presided by the Bishop from India and the homilist was Bishop Ambo David, DD of the Philippines. His homily is also published in the CBF-SEA website. Learn to leave the crowd every now and then. Have faith—in the sense of “remember”. The homilies of our new President, Cardinal Luis Antonio Tagle, DD, from the Philippines reminded us to be humble, forgiving, trusting, caring, and be sensitive to the Spirit to make God’s Kingdom a reality in our world. In his conference, he enumerated several challenges for us to respond to the needs of the times, to do something about the present situation and to proclaim all the more God’s Word in our lives. The Final Statement summarized these challenges there. We are happy to have a President who leads the way, who guides us with questions and proposals that are concrete enough to show us the directions. Now, we have a lot of tasks to do. The CBF General Secretariat had prepared a blueprint of a 6-year plan of action that is concrete and doable. These were translated into programs and projects by the Regions that could be accomplished in 6 years. A sample curriculum of a 2-year course for a Masters in Biblical Pastoral Ministry was presented to us that we could easily duplicate in our sub-region. 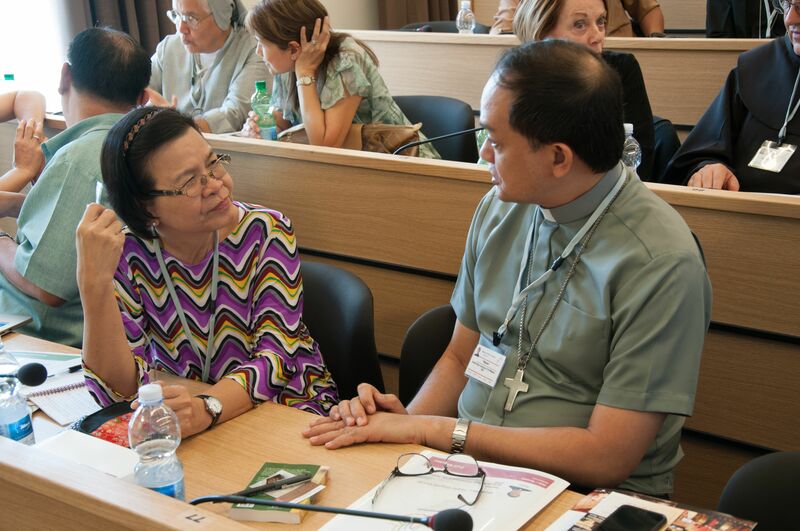 A concrete plan (based on the Luxembourg template was already worked out by the Members guided by our new South East Asian sub-regional Coordinator that is ECBA represented by Bishop Ambo David. CBF-SEA will have its own Masters’ Program for Biblical-Pastoral Ministry at the SVD School of Theology in Tagaytay City, Philippines – which some of the faculty of the Seminary had already started in the past. We only need to enrich it and invite more CBF Experts to be resource persons. An educational trip to the Holy Land will also be a part of this course. We need to tap the Resource Persons who are already giving courses at the Holy Land. Since some possible participants may not be able to afford a long stay-in course or finish the 2-year program, some shorter modular courses will also be available for them. 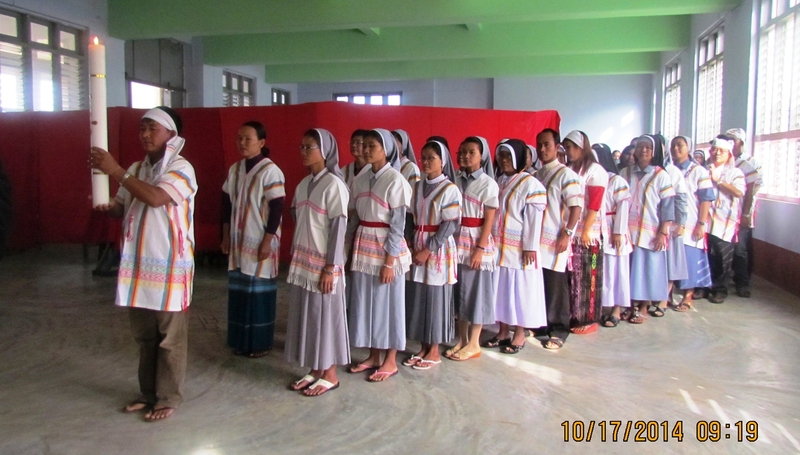 Bible Translation is given a priority too and need to be given the proper resources for the success of the project. 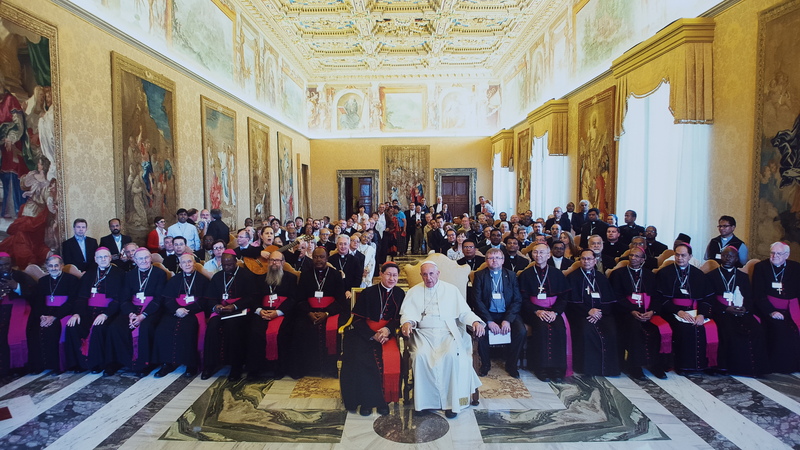 The Catholic Lectionaries could be a joint project of the Bible Scholars and the Liturgy Commission. Since the Bible is to permeate all the pastoral activities of the Church, it is important that our future priests would also get a good training on Biblical Pastoral Ministry and how it is done aside from their Exegesis courses. Workshops, meetings and communication networks were also planned out and given tentative schedules. So much had been planned to be worked out and implemented in the next 6 years before the next Plenary Assembly. 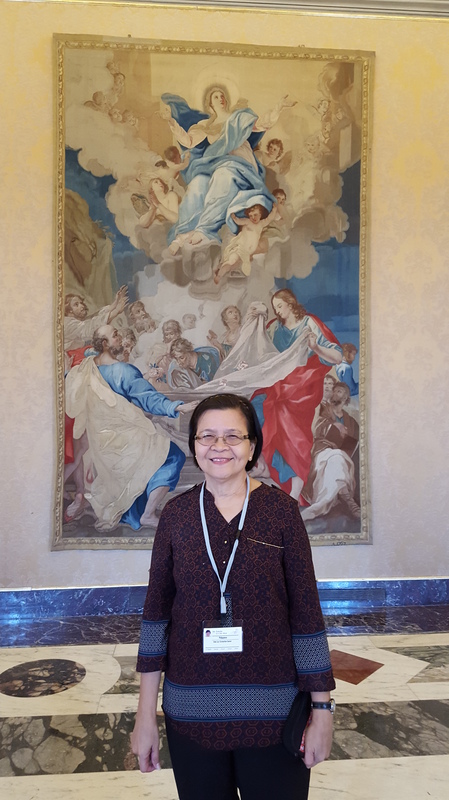 The two resource persons: Nuria Calduch-Benages and Maricel Mena López posed challenges in the new way of reading Scriptures highlighting the challenges of Dei Verbum, Verbum Domini and Evangelii Gaudium. 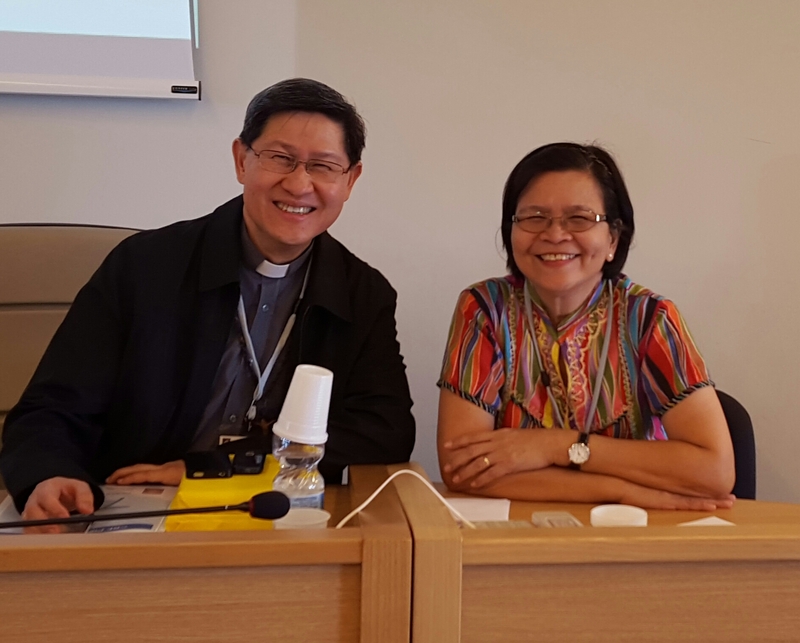 Cardinal Tagle put concrete images of the present situation of the world that these new way of reading and interpreting Scriptures would have to be worked out in concrete programs centering on the Word of God. Pope Francis reminded us to look at the lives of the people and their present socio-economic-political situations and make the Word of God speak to them in these present conditions for inspiration, enlightenment and hope. This is also true to the Catholic Biblical Federation. We cannot continue to dwell on the past that cannot be changed as it had already happened. We had learned our lessons. We move on with wisdom, renewed inspiration and vitality to respond to the challenges of the times in God’s Word. We need to face the present realities guided by the Word which also needs to be read and listened to in a new way. The Catholic Biblical Federation with its new set of members of the Executive Committee, the Commission groups, the new Coordinators of the regions and sub-regions will move ahead to meet these present challenges to make the Bible, the Holy Scriptures, the Word of God become more and more relevant in the lives of our people. And we begin with ourselves. We need to witness to the people the message of the Word – to build a loving, caring, forgiving, trusting and hoping community. We pray that our number will grow and communities of the Word will flourish. We dream that people may say to our Federation “See how they love one another!” And we support each other in different ways by sharing whatever we have. CBF has started the new beginning. Let us rejoice and be glad in the Lord as we thank our great leaders of the past that made CBF grow in number around the world. We are a global community in the Word! How happy we are to stay and share together in these few days and all in God’s Word! Praise be the Lord of love, compassion and mercy! 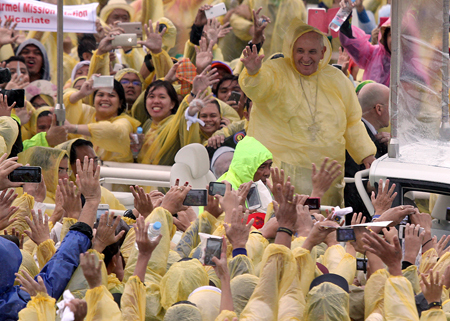 Catholic Bishops’ Conference of the Philippines president Archbishop Socrates Villegas, in his gratitude message, compared Pope Francis to both a raincoat and sunshine. “You are our friend, our inspiration, our raincoat in the rain and sunshine when it is cloudy. 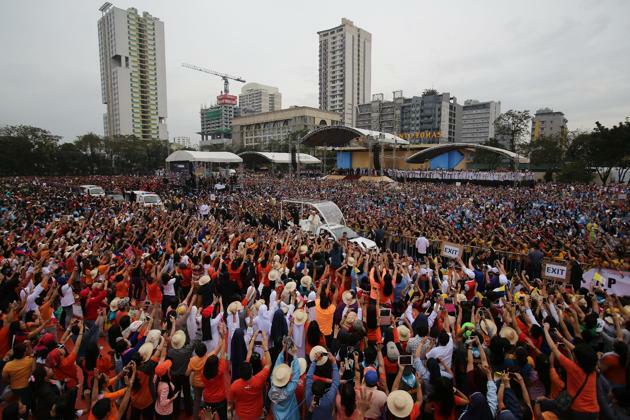 Pope Francis, we love you,” Villegas said Sunday before the pontiff gave his final blessing during his concluding Mass at Luneta. “Holy Father, you are our sunshine. For many days since you came, it has always been a sunrise of smiles for us Filipinos. We are not feeling the rain. You have brought us joy, you have brought us hope, you have brought us warmth. You have brought us Jesus,” he added. 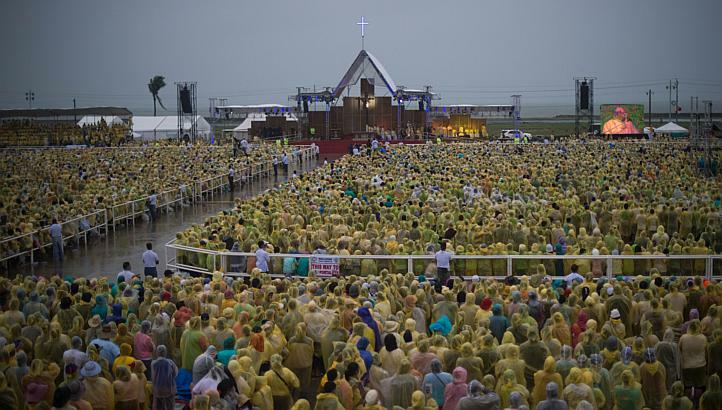 Villegas made the comments amid a steady downpour in Manila, where an estimated six million people gathered to hear Pope Francis speak. “Please receive our message of gratitude for celebrating the Sto. 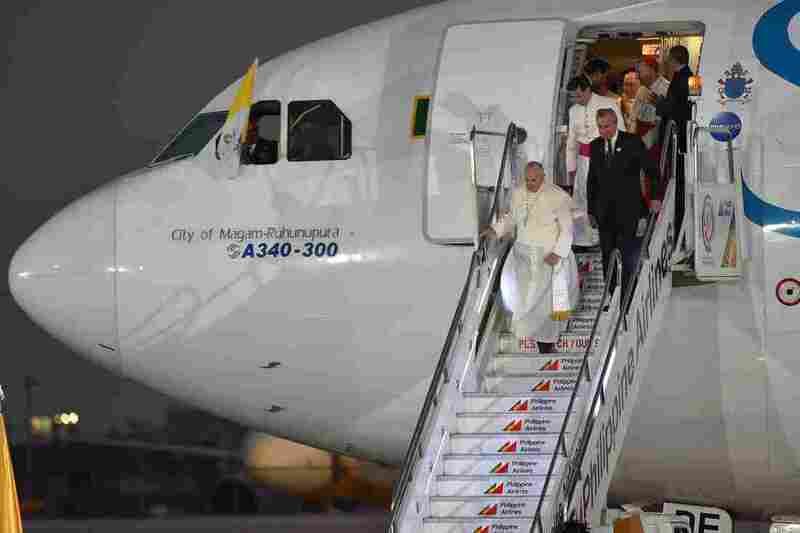 Niño feast today,” Villegas told a smiling Pope. the world. Some of us are afraid of the sunset as we are afraid of the dark, but we are not afraid anymore, because yesterday in Tacloban, you taught us that love casts away all fears. Your love for the Filipino people is stronger than all typhoons; your love is typhoon-proof,” he said. 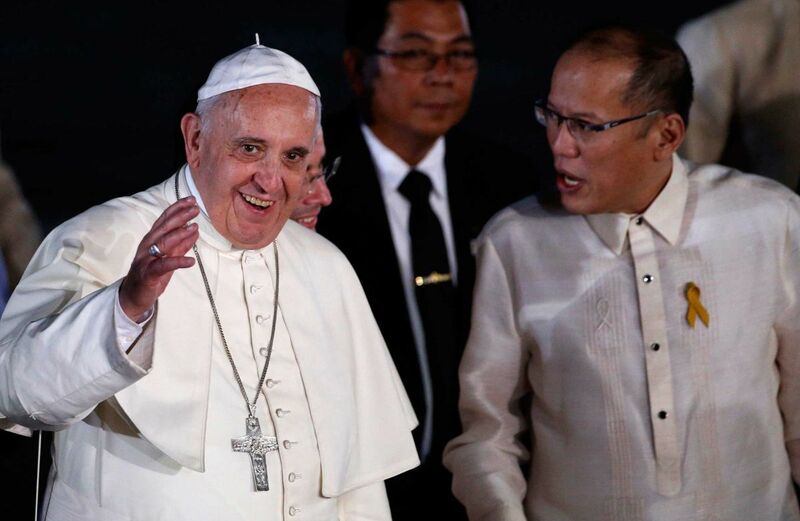 Finally, Villegas promised not to forget the pontiff’s words to spread the message of Catholic faith. want to assure you that Jesus prays for you. Jesus himself declared to Peter, “I have prayed for you that you own faith may not fail.” (Luke 22:32). Your Holiness, you are blessed. Jesus prays for you. 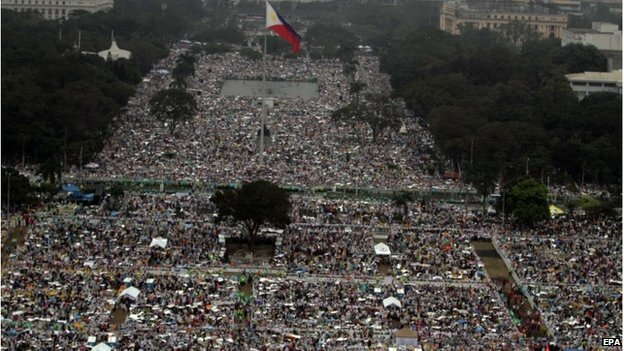 We your beloved Filipinos unite ourselves with Jesus in praying for you to God the Father. You arrived in the Philippines three days ago. Tomorrow you will go. 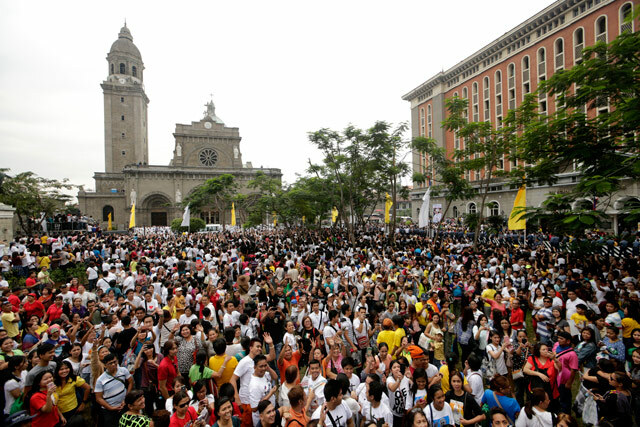 Every Filipino wants to go with you – not to Rome – but to the peripheries, to the shanties, to prison cells, to hospitals, to the world of politics, finance, arts, sciences, culture, education, and social communications. We will go to these worlds to bring the light of Jesus, Jesus who is the center of your pastoral visit and the cornerstone of the Church. We will go where the Light of Jesus is needed. Here in Luneta, the Qurino Grandstand, where heroes are revered, newly elected presidents take office and popes meet the Filipino faithful, here in a place of new beginnings, send us forth as missionaries of the light. Before you go, Holy Father, send us to spread the light of Jesus. Wherever the light of Jesus shines, you and the Filipino people will always be united. Mabuhay, Santo Padre! Mabuhay si Kristo! Let the light of Christ shine! Congratulations to our colleague in the Biblical Apostolate Fr. 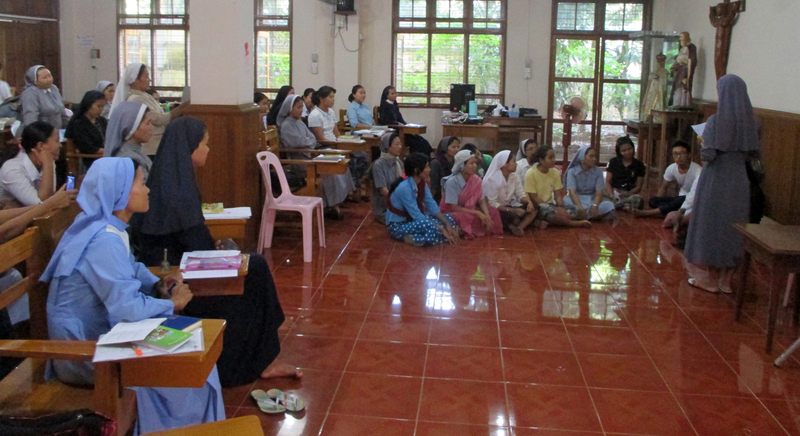 Saw Bosco who successfully organized a bible course seminar named: “Media Catechesis Teachers’ Training Workshop” for Religious Theology students at the Religious Conference in Yangon, Myanmar. 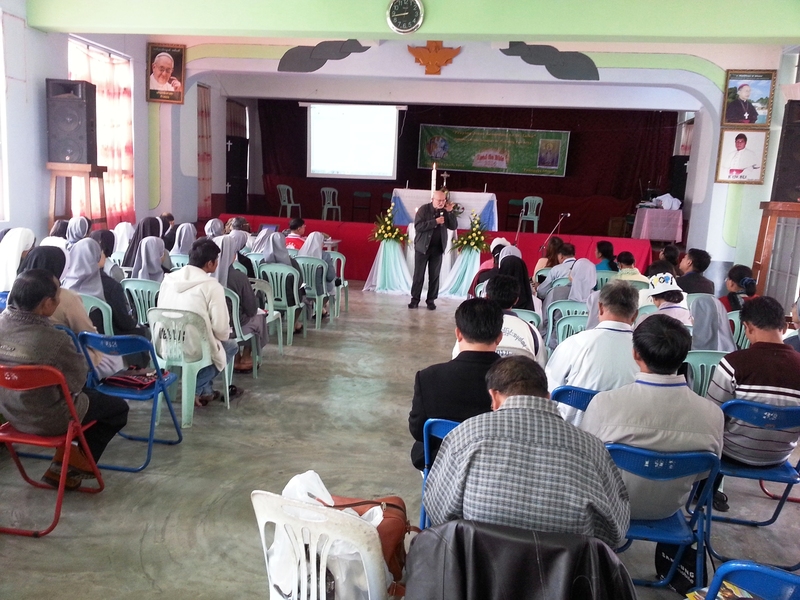 The said seminar was facilitated by Fr. Ludger Feldkaemper, SVD last October 13-18, 2014. There were altogether 70 participants and staff from around the nation. 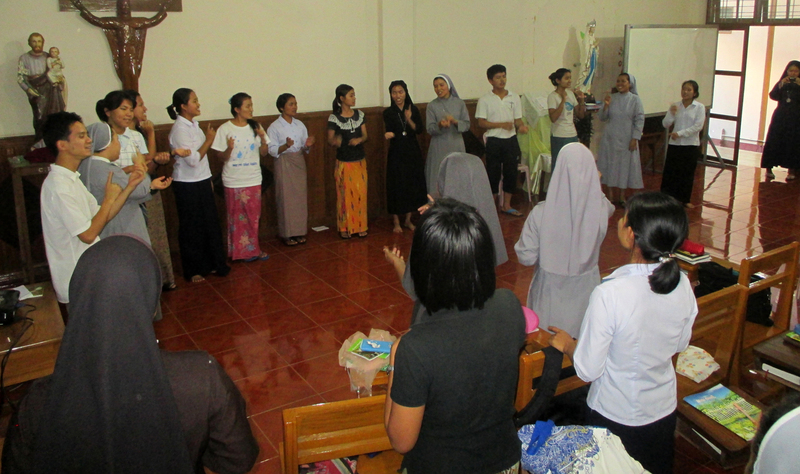 The 65 participants come from 12 dioceses and two religious congregations: Myitkyina (4); Bamaw (4); Lashio (4); Mandalay (2); Taunggyi (11); Loikaw (7); Pe-Kone (4); Taungngu (2); Pyay (3); Yangon (10); Pathein (4); Kengtong (4); Sisters of St. Francis Xavier (4); Sisters of St. Joseph (2). Fr. Maurice acted as the translator of Fr. Ludger from English to the dialect. The seminar indeed was very successful through the power of the Word. 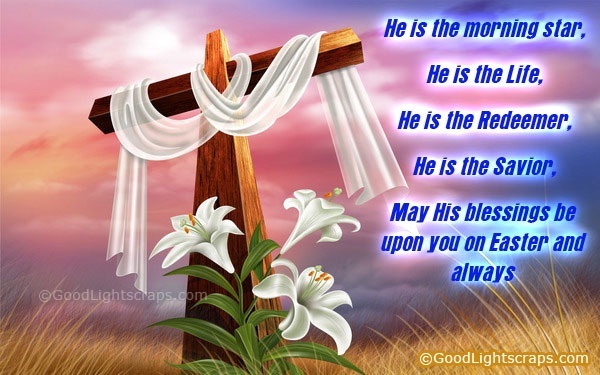 May the Good Lord bless you always!